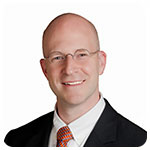 Dr. Brett Puckett is a board-certified orthopedic surgeon, specializing in hand and microvascular surgery. He is able to diagnose and treat everything from the elbow to the fingers, with a particular interest in traumatic conditions such as lacerations, fractures and nerve injuries. Formerly the Director of Orthopaedic Senior Clerkship and Assistant Professor at University of Florida Health in Jacksonville, Dr. Puckett is a two-time recipient of both the University of Florida Exemplary Teachers Award and University of Florida Faculty Teaching Award. Offering a range of in-depth knowledge in his specialty, Dr. Puckett excels at providing top-notch care for his patients. Last year my son broke his finger on the playground playing football. Dr. Puckett was able to see him immediately. He explained the problem very clearly to me and my son in terms that were easy to understand. He reassured my son that his finger would heal if he kept it stable. Dr. Puckett gave us specific guidelines to follow; my son would have been tempted to play sports otherwise. By the third week it had healed perfectly because of Dr. Puckett’s care. He is a delightful doctor, with a great bedside manner. I would recommend him to both adult and pediatric patients alike!